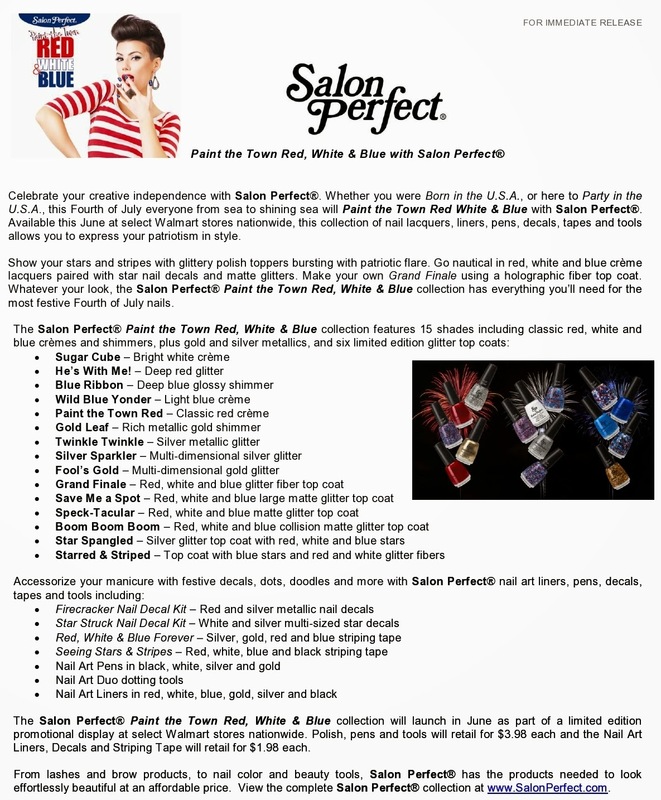 today i have the press release for Salon Perfect's new collection, Paint The Town Red, White & Blue! these look super fun, and the collection has all the ingredients for a perfect patriotic manicure. these should be in select Walmart stores now!